Best Park Home Finance is an independent UK finance company providing financial assistance for those wishing to purchase a park home or lodge as a permanent residence or a holiday home on a Wyldecrest Park. With years of experience in the financial services industry, we are able to finance your dream home with a solution to suit you. We offer loans of up to 70% of the purchase price of a residential park home and up to 80% of a holiday home or lodge, subject to terms and conditions. Our loan terms range from one month to 15 years and there is no age limit on loan applications. Additional payments can be made without any penalties. The Best Park Home Finance team are here to make the process of buying a residential or holiday park home a smooth and affordable one. From the moment you contact us with an enquiry, we will guide you through the process of purchasing your home. There are no hidden costs, every application is transparent and informative of all charges and fees. We do not try to sell you other financial products for your home unless YOU specifically request us to. We are authorised and regulated by the Financial Conduct Authority, firm ref no. 715454. 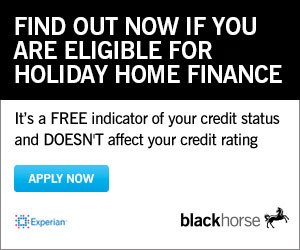 We now partner with Black Horse Finance for an additional finance option.